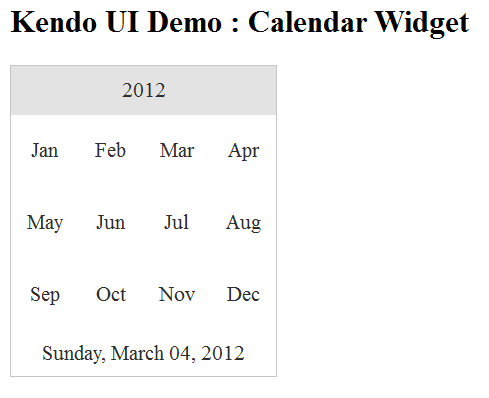 Configure custom template for Month View. Max to set and get maximum date. Min to set and get minimum date. Value to set and get current date. 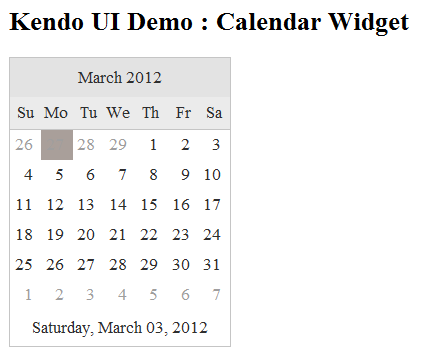 In this way you can work with Telerik Kendo UI Calendar Widgets. I strongly recommend you to leverage goodness of Telerik Kendo UI in your web applications.